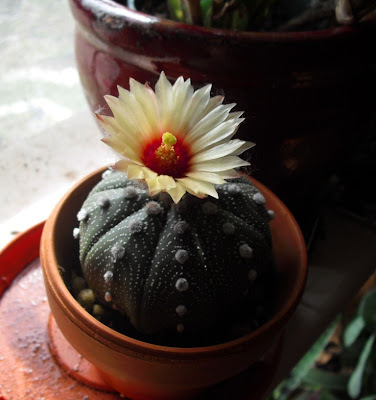 I seem to be featuring cacti an awful lot lately, and today is no exception. That is because I was pleasantly surprised to have two more of mine flower in the past couple of days. 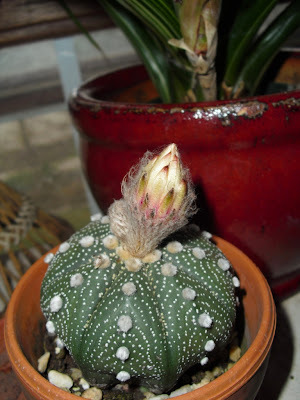 Astrophytum asterias, possibly my favorite cactus species, with a bud ready to open. Here is my other bloomer. I have no idea what kind of cactus this is. 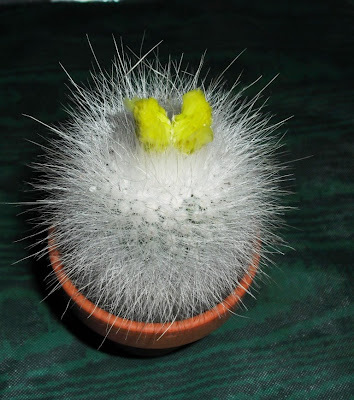 It just caught my eye a couple of years ago because of its dense, fuzzy-looking spines. They aren't quite as soft as they look, but they aren't painfully dangerous, either. Edited to Add 04/15/10: I saw this cactus today at a nursery, and it had a label. So it now has a name: Parodia rudibueneckeri. 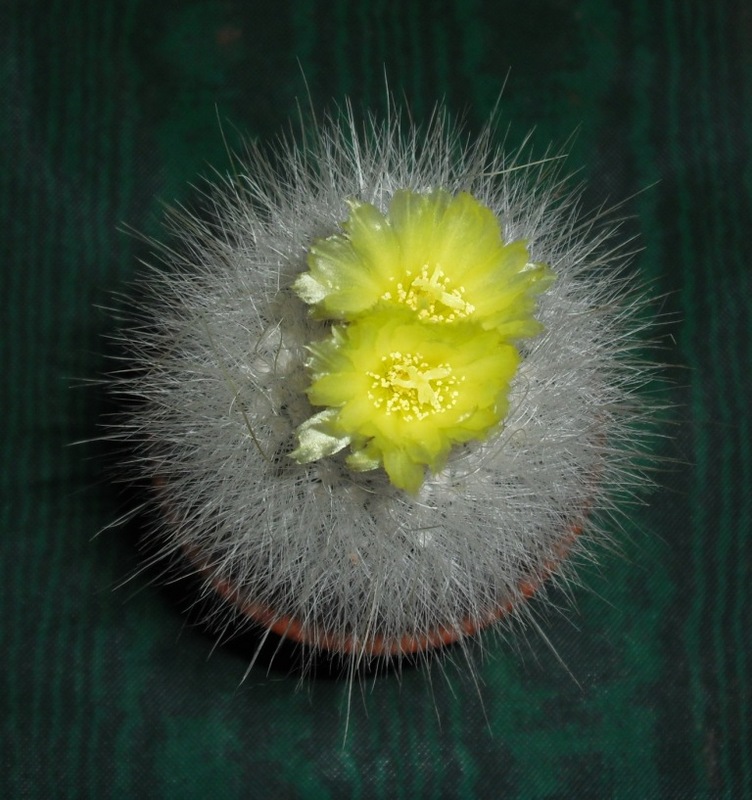 The spines are so dense that the flowers are a bit crowded-in at the crown, and don't seem to be able to open fully. They are a lovely sunny yellow.